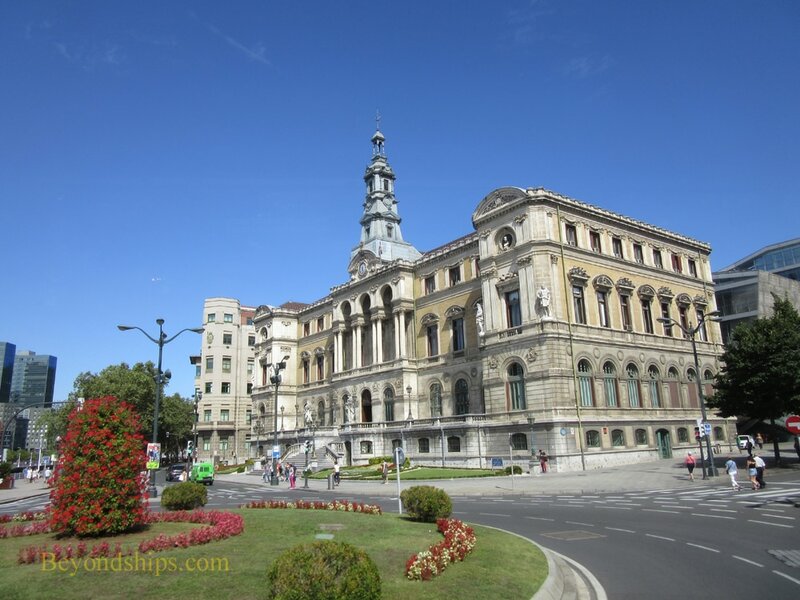 ​Above: Bilboa's City Hall was built in 1892 in the French Second Empire style. 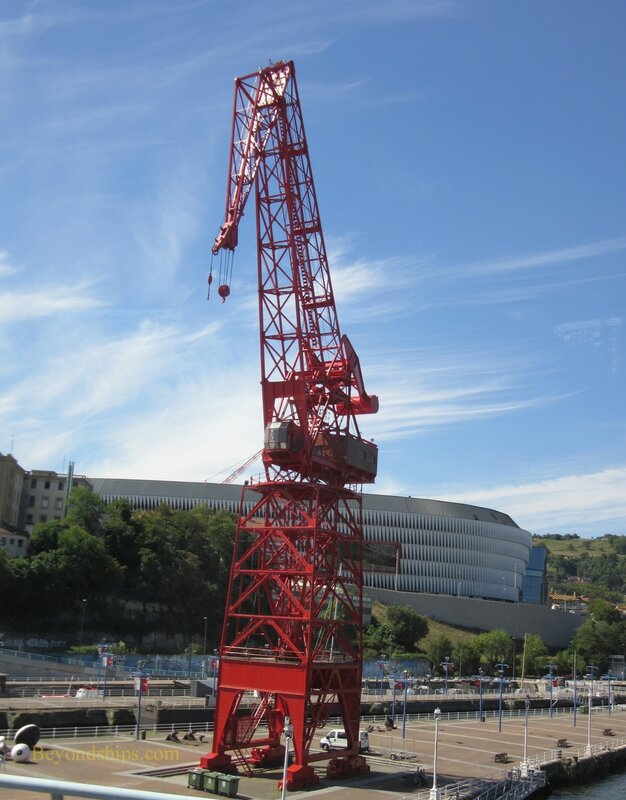 ​Left: A lone crane once used for ship building stands as a monument to Bilboa's industrial past. Bilboa is a city that has reinvented itself. By the late 20th century, the ship building and other heavy industries that had traditionally sustained the city had fallen on hard times. In addition, the city had a polluted post-industrial wasteland running through its center. Rather than give up, Bilboa transformed the wasteland into an attractive green space and cleaned up the pollution. Perhaps most importantly, it arranged to build an outpost of the Guggenheim Museum in that space. The museum with its distinctive building put Bilboa on the map as a tourist destination. The city is located on the northern coast of Spain in the Basque country. Indeed, it is the de facto capital of the Basque Autonomous Region. There are about 800,000 people living in Bilboa and its surrounding area. This area has a long history. There were settlements in the vicinity in the 2nd and 3rd centuries BC. However, Bilboa received its first charter in 1300. Over the centuries the city grew due to its port and the iron deposits in the surrounding mountains. Despite several wars, the city blossomed in the 19th century as a ship building center. 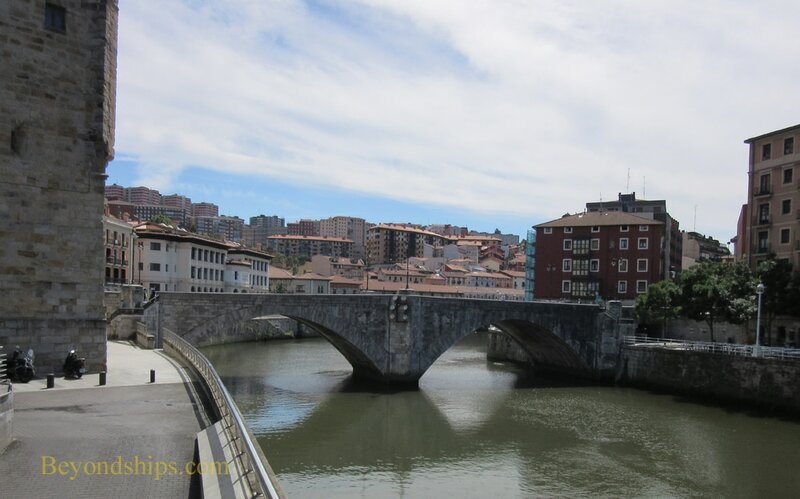 It is said that the Spanish Civil War started in Bilboa and the city suffered bombing during the 1930s. After the decline of its industrial base in the second half of the 20th century, Bilboa has transformed itself into a service economy. 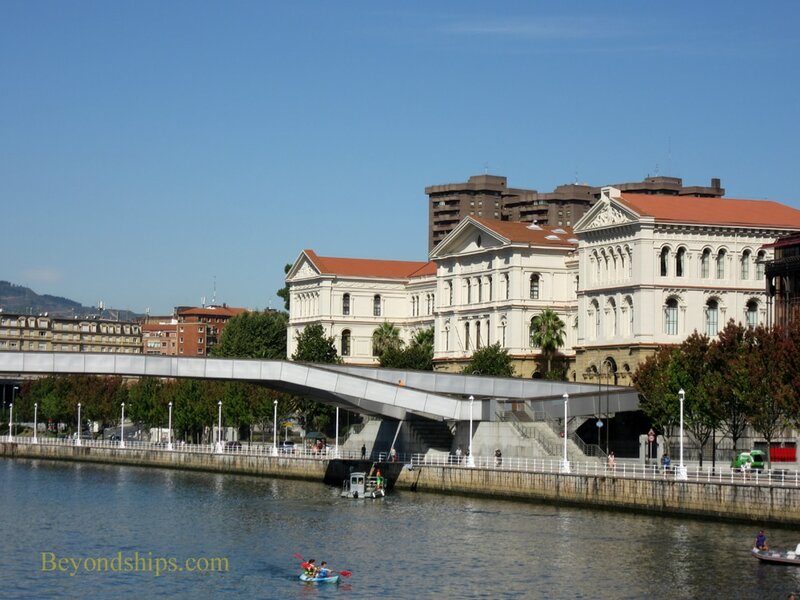 Bilboa sits astride the Nervion River (also called at various points the Ria de Bilboa or the Bilboa Estuary). The city boasts a number of architectural styles. Medieval, Renaissance and Baroque buildings can be found in the Old Quarter. Wide avenues and elaborate 19th century buildings dating from the time when Bilboa was at its industrial peak mark the Ensanche district . Modern and contemporary buildings dot the landscape. Overall, it is a handsome, cosmopolitan city. 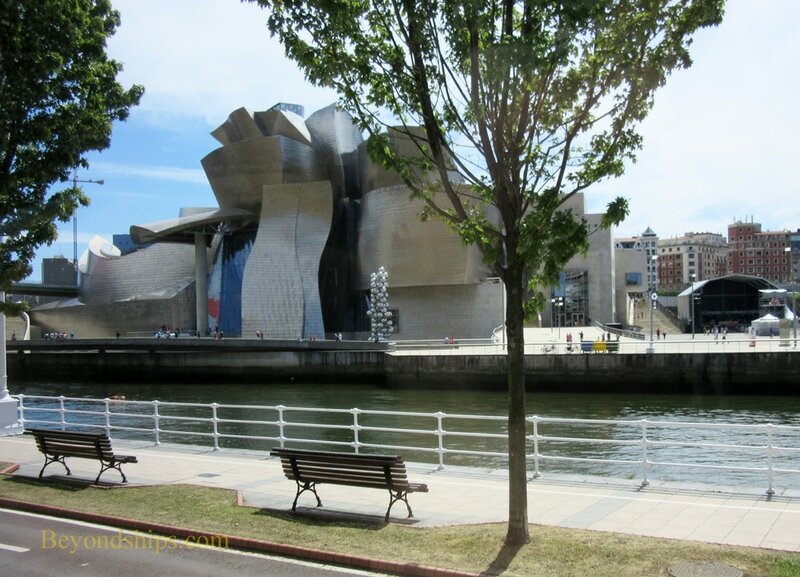 For visitors, the Guggenheim Bilboa is the greatest magnet. However, there is more to Bilboa than that museum. In fact, the city boasts a number of museums including a substantial fine arts museum. The Old Quarter (Casco Viejo) has atmosphere as well as a number of historic buildings. Most people in Bilboa speak Basque as their everyday language. However, almost everyone understands Spanish. People involved in tourist-related businesses also usually speak some English. The currency in Bilboa is the Euro. Above: The Puente de San Anton appears on the city's coat of arms. It is located near where the city was founded. 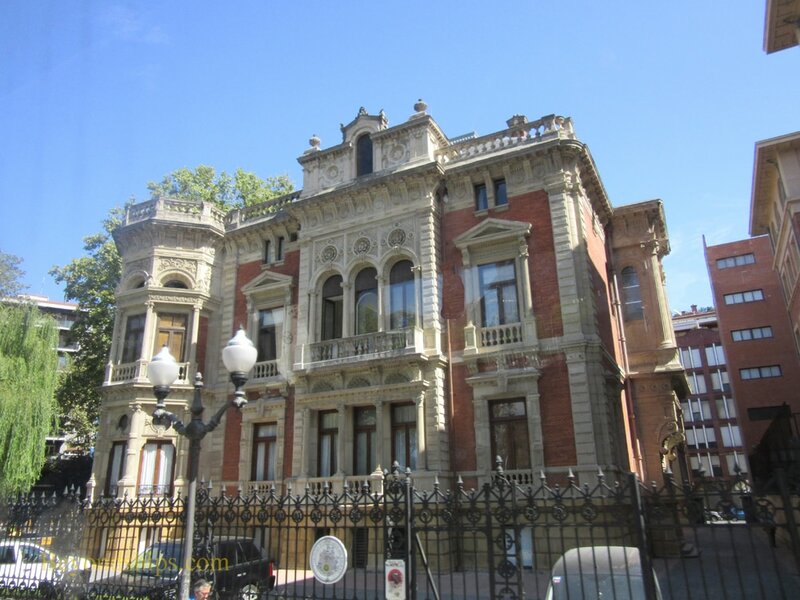 Below: The Olabarri Palace was built for a 19th century businessman at the height of Bilboa's prominence as an industrial city. Above: The University de Deusto. Below: The park-like surrounding of the Guggenheim Bilboa.